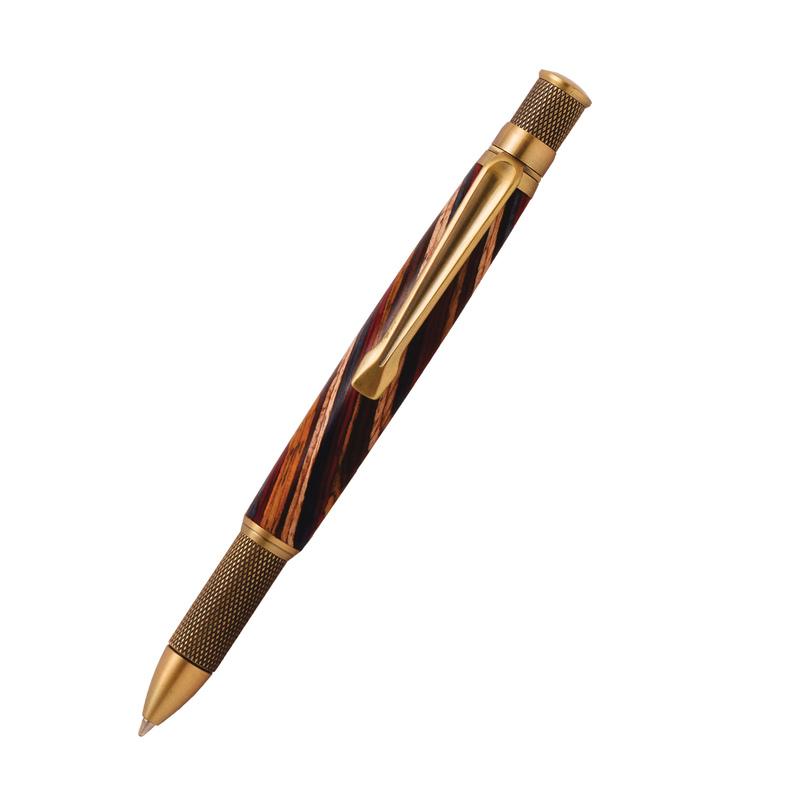 Knurl GT Antique Brass Twist Pen [PKKNAB] - $44.33 : AnkleBiter Woodworks, When all else fails, send in the dacschund! With its sleek industrial look and clean lines, the Knurl GT is a real head turner. The precision-cut knurled finish diamond pattern on the tip and end cap provides a comfortable feel and writing experience. You will find the pen has an ideal weight and balance to it. Smooth writing performance with a Parker style refill. Plus, The rustic, authentic look of this antique brass will pair beautifully with any wood blank. We've taken quality brass plating and chemically darkened it to simulate aged brass, which results in a gorgeous, long lasting brown plating with golden undertones.